Can a 50-year old be as fit as 20-year old? Yes they can! At least if we consider VO2max. VO2max is generally regarded as the best indicator of cardiorespiratory fitness. 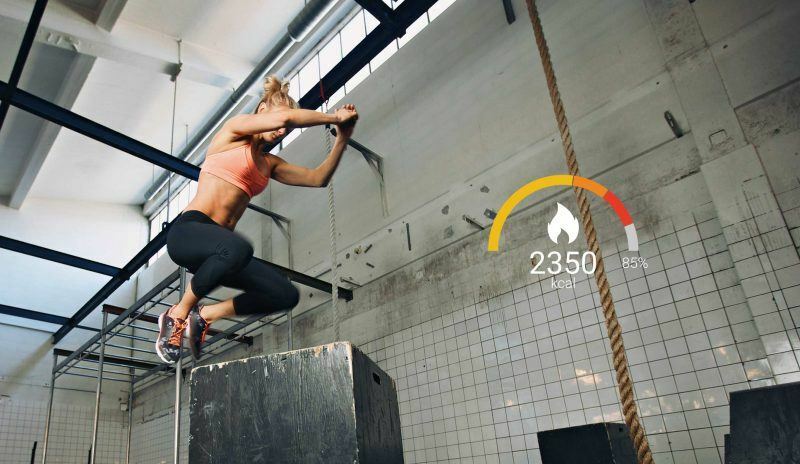 It reveals how much oxygen your body is able to consume during maximum effort. The higher your VO2max, the more oxygen your body can use – and the better your aerobic fitness. A person’s VO2max typically declines with age. Usually the peak is around your 20s and sometime in your 30s VO2max starts to decline, approximately by 10 percent per decade. However, it is possible to boost your VO2max and turn back the clock. The recipe is simple: aerobic exercise improves VO2max, whereas a sedentary lifestyle leads to low cardiorespiratory fitness. Comparing your current VO2max to other people unlocks new insight. 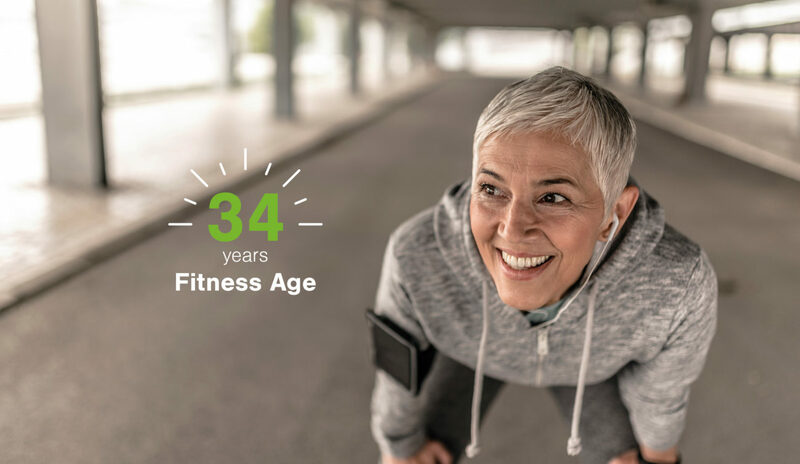 By looking at average fitness data for people older, younger, and the same age as you we can determine your fitness age. If your VO2max is below average for your age group, your fitness age is older than your actual age and vice versa. If you have a good capacity for aerobic endurance, you might be much younger than your driver’s license says. A 30-year old can have a fitness age between 20 and 79, depending on VO2max. Whether you’re a performance junkie or just looking for health benefits, VO2max has something to offer. But it isn’t always the simplest measure to understand. VO2max is usually measured in milliliters of oxygen per kilogram of body weight per minute (ml/kg/min). 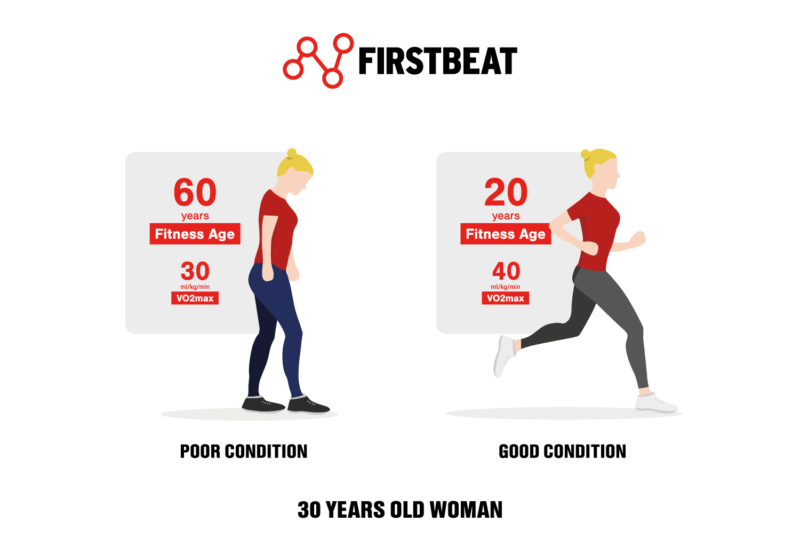 To make it simpler, Firstbeat’s Fitness Age feature reinterprets your VO2max in terms of age. 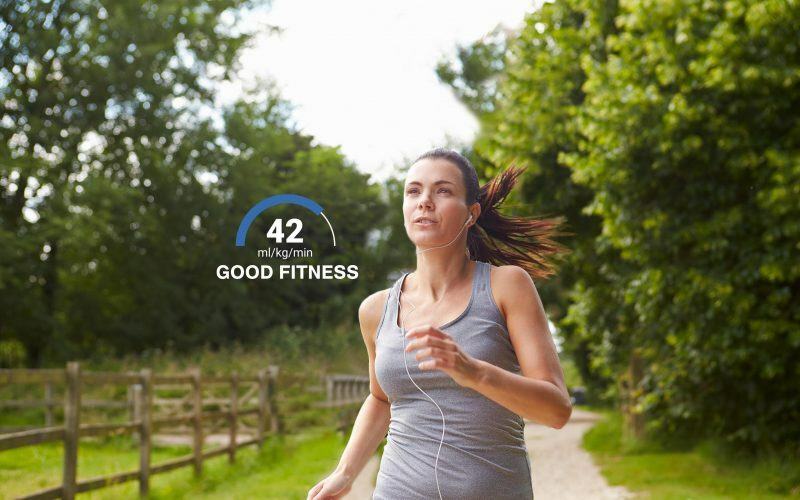 It is an easy way to be aware of your fitness level. For example, if a woman’s VO2max is 35 ml/kg/min, her Fitness Age is 43 years, because an average 43 year old woman has a VO2max of 35 ml/kg/min. And of course, a Fitness Age of 43 conveys a different message, whether the actual age of this woman is 25 or 60. 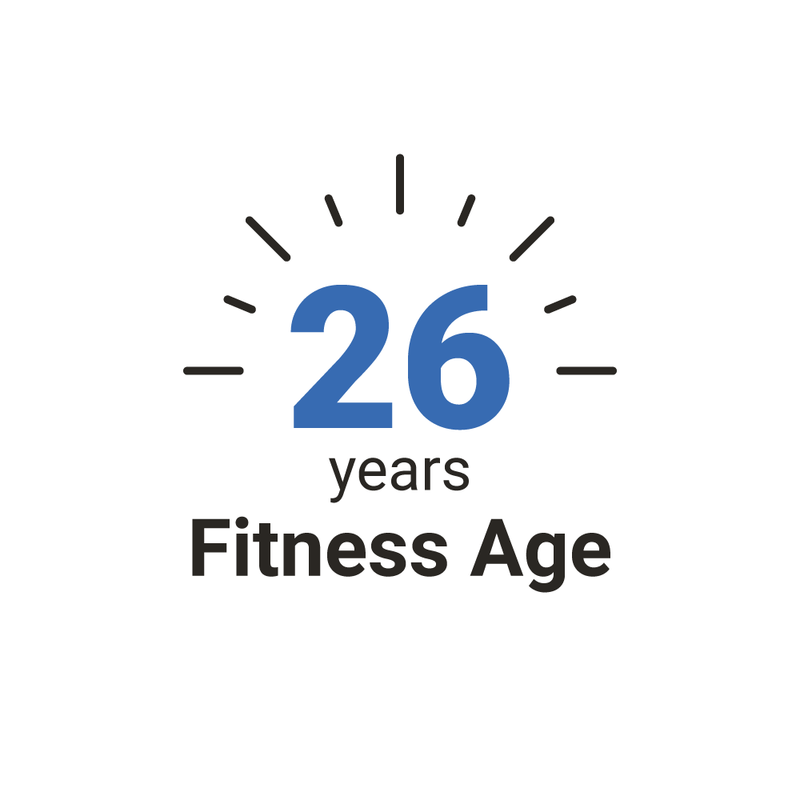 When your fitness age is 15 years younger than your real age, it can certainly boost your self-esteem. However, fitness age is not just “nice to know” information – it can have a remarkable impact on your lifespan. According to the American Heart Association (AHA) a low VO2max – meaning a higher fitness age – is associated with increased risk of cardiovascular disease and all-cause mortality. 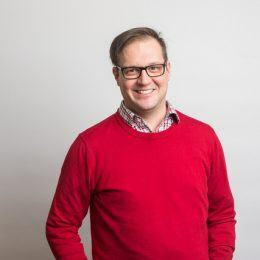 People who have lower cardiorespiratory fitness have also higher risk of developing certain cancers, including lung, breast and gastrointestinal cancers, says AHA. VO2max can predict risk of early death even better than some traditional risk factors like being overweight, high cholesterol, or smoking. So, you could say fitness age might be a better predictor of longevity than chronological age. The good news is that – unlike your actual age – you can lower your fitness age with the right kinds of activity. Make sure you exercise regularly and learn to understand the role intensity plays in the fitness impact of your routines.